We have always admired people who are not afraid to do a certain thing! Sometimes doing what you want is hard, because you how to consider other people’s opinion. In most cases you would probably restrain yourself from doing a certain thing. The reason is that you wouldn’t want the other to think that you were a weirdo! However, we think that you should do whatever you please, as long as it does not hurt anyone, of course! Let the others think what they want to think, because their opinion cannot defy you. We are about to give you some examples of people who did exactly what they wanted despite what the others might think! Enjoy these photos and be inspired to do things your own way! You might think that working out cannot be combined with other activities, but you are obviously wrong! As you can see in the photo above, this person was able to create his own workout routine! 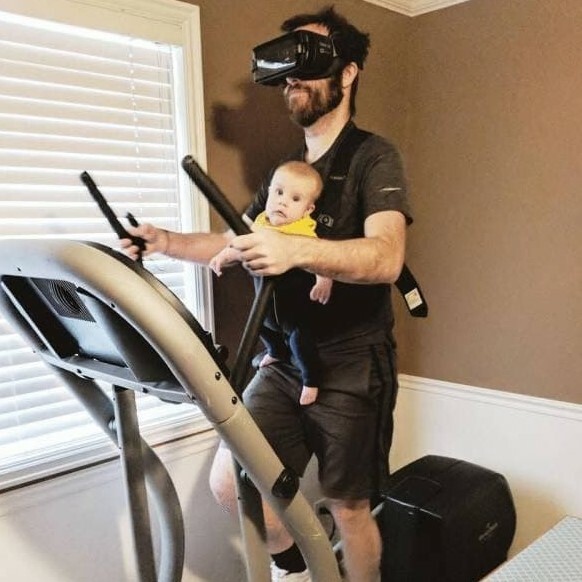 He is burning calories on the elliptical machine, but he is able to dive in the virtual reality by using his VR goggles! And that’s not all, of course! He was able to include his kid in the fun as well. The only problem is that the kid does not seem to enjoy any of this! We can understand how the toddler feels, because only the father gets to enjoy all of the action! One of the biggest problems of modern people is that they find it hard to say ‘no’. We have all been in such situations. For example, you agree to go out with the gang, but deep inside you know that you don’t want to be there! This is probably what this person felt, but after some quick thinking they decided to be honest about it! Since we are in our 30s, we can totally relate with that feeling! 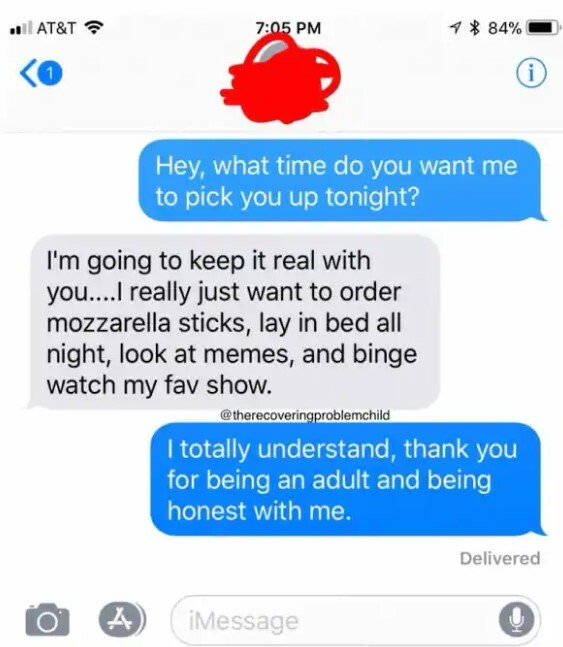 We also love mozzarella sticks and spending an unlimited time in bed watching TV. Some people might think that it is boring. It may be so, but considering all the stress modern life causes, we need this type of rest. Hollywood mash-ups are a common thing! We have seen all kinds of characters or famous faces that are gathered together for a new movie or a sequel. Of course, most of them are comic characters, but the mash-ups are not limited to them. 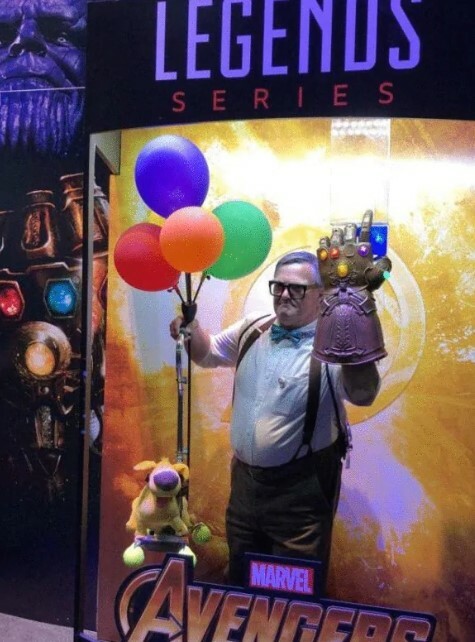 As you can see here, someone dressed as the main character in the Up movie is standing in the Avengers booth. While we don’t know the real reason for it, there is one main possibility to consider. The man in the costume just wanted to feel like a real superhero and posed for some photos on that spot! Of course, we would love a sequel that includes this character fighting alongside the Avengers! This photo will put to shame even the biggest McDonald’s fans out there! We have seen before how some people order huge amounts of food at McDonald’s, but this here tops off everything else! We tried to calculate exactly how many portions of fries we see on the table, but it is impossible. 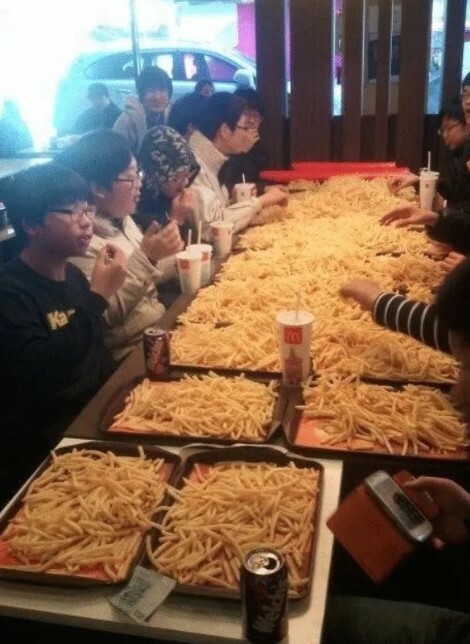 We wonder about the reason behind these people’s decision to order this ridiculous amount of fries! No burgers can be seen on the table. They obviously ordered fries and soda. This is a mystery we would like to solve! 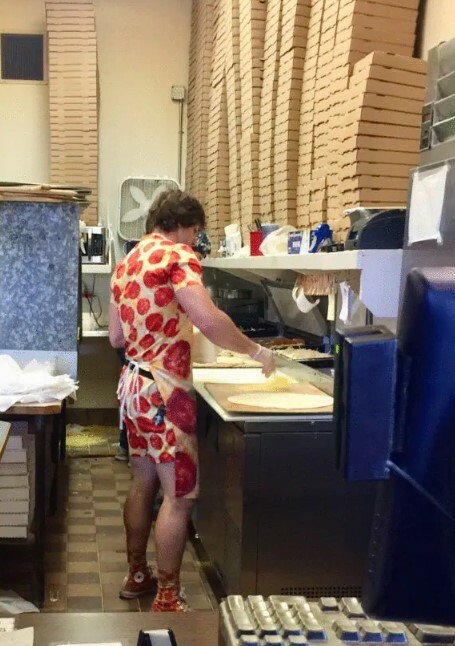 We guess that we would never know the reason for that order! When you want to go and see a movie, you know that a huge part of the experience is the variety of snacks and drinks! However, bringing snacks inside is one thing, but having a huge garbage bag full of popcorn is something that we have never seen before. 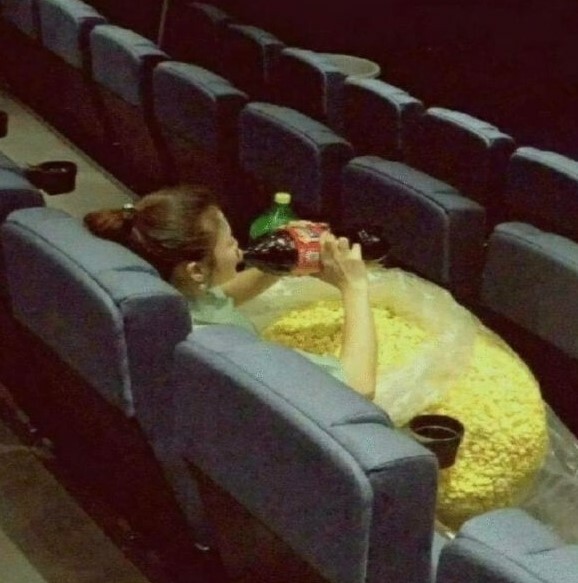 What is even more intriguing, it seems that this person is alone in the theater! This means that all the popcorn is for her! The other puzzling thing is how she managed to get all of that stuff inside the theater. She probably knew someone working at the place, because it would be impossible otherwise. We hope she has enough beverages as well! We all know someone whose only purpose in life is to stand above everyone else! Some people are willing to do whatever it takes just to stand out from the crowd, and that is admirable. However, there are certain limits that should probably not be crossed, but this person did exactly that! Having heavy accessories on you is one thing, but adding more and more of them to the point where you begin to struggle is a completely different story! 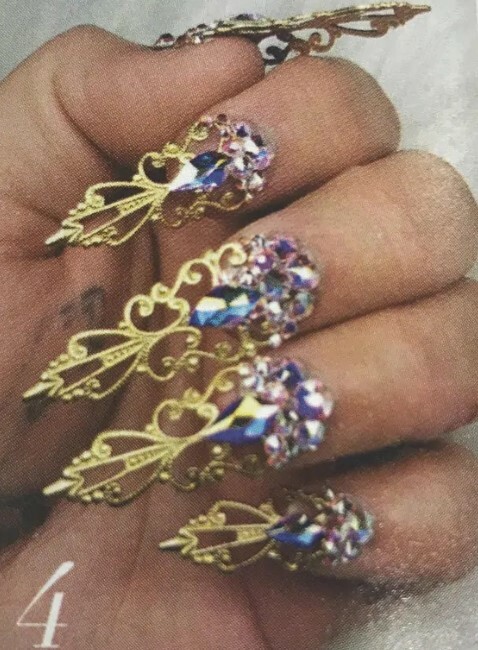 We believe that these nail extensions were put only for a photo shoot. Otherwise even the simplest everyday tasks would be impossible to complete with these things attached to your fingers! Sometimes beauty and practicality do not go hand in hand, and that is perfectly normal. This photo teaches a valuable lesson. If you love something, you must show it! No matter how you do it, you just no express the way you feel. After all, there is no point of hiding it inside! As you can see, this person was not shy at all on that matter! 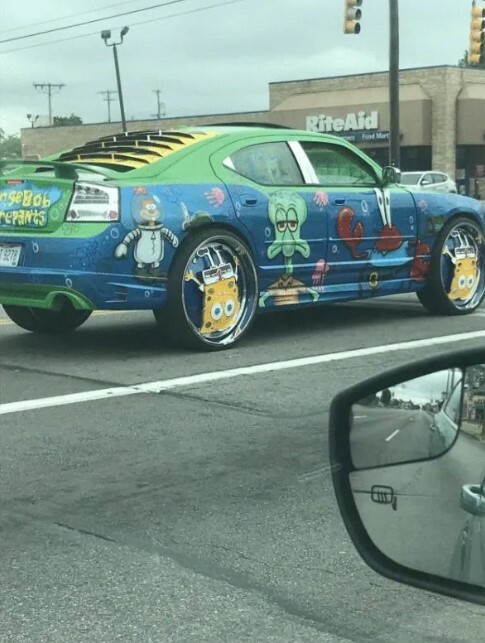 We also love SpongeBob, but obviously not as much as this person. The vehicle you see was heavily modified, and we are sure that a significant amount of money was invested in it. If one day this person decides to sell the car, the best place to do it would probably be a comic book convention instead of a classic automobile market. One of the things we are certain about today’s society is that a lot of people hate their jobs for one reason or another! It is a sad fact, but unfortunately it is the reality! However, there are still a lot of people that love what they do. The person you see is clearly one of them! Just by seeing his outfit you can tell that he is more than dedicated to his duties! 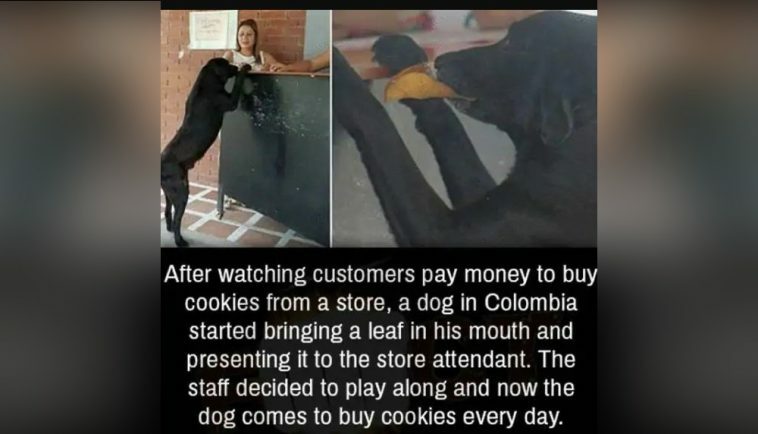 He probably goes to work with the most positive mood possible! We like people who put in their maximum effort in what they do! We need to say that probably most of the people in the world are ice cream lovers! 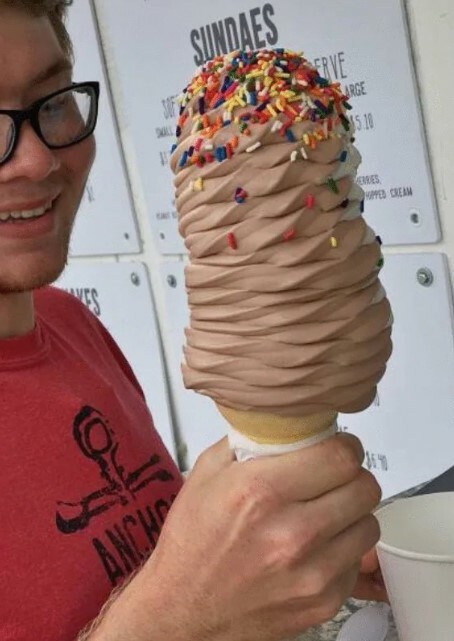 This means that the majority of people would love to see this giant ice cream cone! The ridiculous size of this thing is probably enough to satisfy even the biggest ice cream cravings a person could have! However, we guess that it is not such a good idea, because it would start to melt pretty soon. 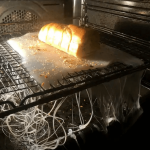 Nobody could finish it fast enough, and the mess is guaranteed. People often say that the best solution to a problem is the simple one. 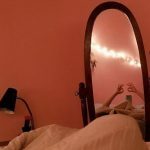 The photo above proves it, and we love this person’s creativity! You could definitely borrow his idea, despite the fact that other people might consider you lazy. Opinions don’t count if you are able to make your life easier! 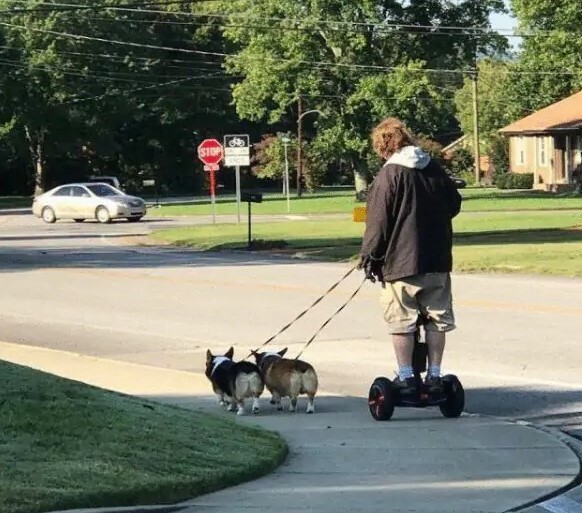 Just imagine having to walk these dogs for 30 minutes right after waking up! The last thing you would like is to walk a couple of miles around the block. When you are on the road, you need to make sure that the other motorists notice you easily. This is especially valid if you are riding a bicycle or a motorcycle. As you can see in the photo, this biker knew that and he did make himself noticeable! Of course, he did it in his own style! 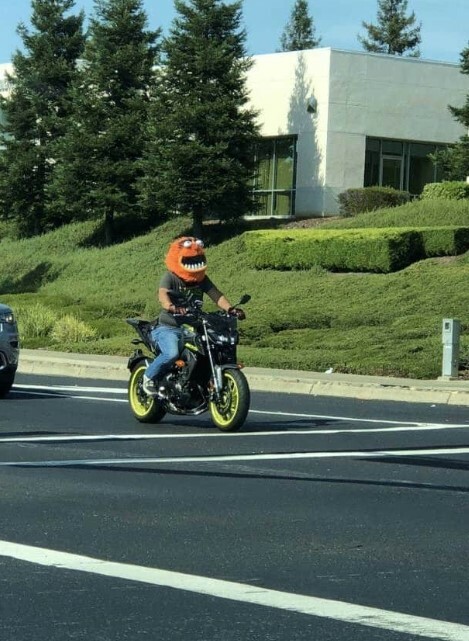 The cleverly disguised helmet is definitely noticeable from a far distance! The only thing he should add is some protection for his torso and arms, too.